Be it after gym food, or the kind of meal that won’t make your tummy feel weighed down because of excessive oil or heavy spicing, Herbiary has got all the health freaks covered. From gluten-free to keto options, they are helping those on diets heave a sigh of relief because at least the food is sorted now. The next logical assumption: must be expensive! Well not really. With big enough portions, their one serving is enough for a person and will not cost more than INR 300, max! So what are you waiting for? Salads, smoothies, wraps, waffle-wiches, juices or cold sandwiches, just dial in and place your order. They deliver within 30 minutes. When they say salad, they don’t mean the regular boring types. Herbiary makes sure you’re not forcing down these healthy things and compromising on taste. Their salads often come with a twist. For instance, their Po Salad (INR 270) has a flavour and touch of sushi, their Marhaba salad (INR 280) has soft chunks of chicken and a tomato-ey flavour, and Ninja salad (INR 300) is a veggie paradise with shrimps and black bean ginger dressing. Their waffle sandwiches are interesting too (INR 130 – INR 240) and have crazy combinations like sour cream and onion, vegan BLT, Popeye, Chorizo bomb and more. They also have cold sandwiches as well starting at just INR 100 and wraps starting at INR 120 where you can choose if you want your wrap to be whole wheat, or beetroot, or gluten-free. For the picky eaters, they also have DIY salads where you can pick and choose what you want. And then finally, they have a whole Keto menu to ease the struggle. 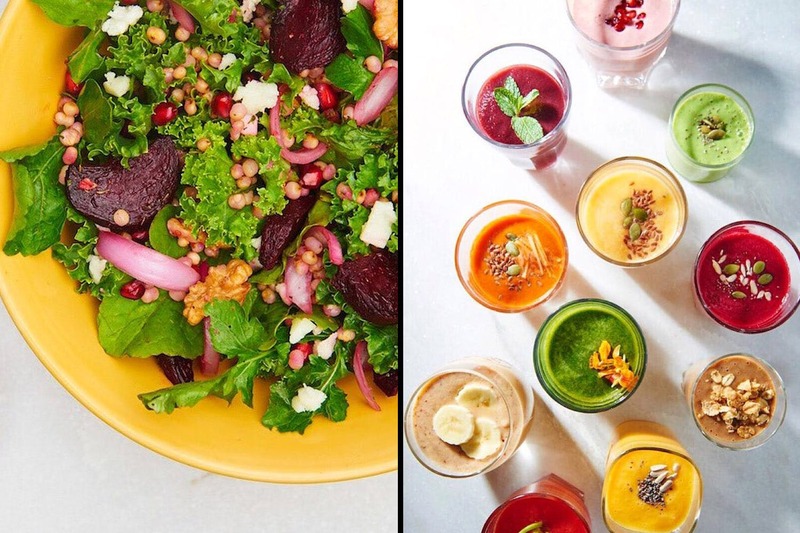 To wash it all down, they also have fresh juices and smoothies that will refresh you instantly without adding unnecessary calories to your meal. If you’ve been struggling with a diet like Keto, and then worrying about having Keto-friendly food. Quit the tension and order from Herbiary instead.